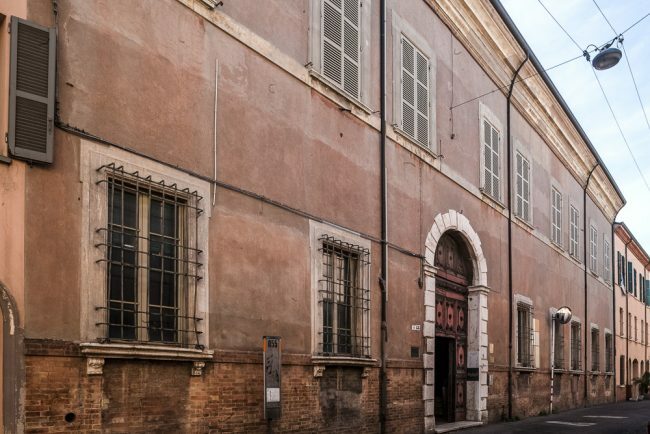 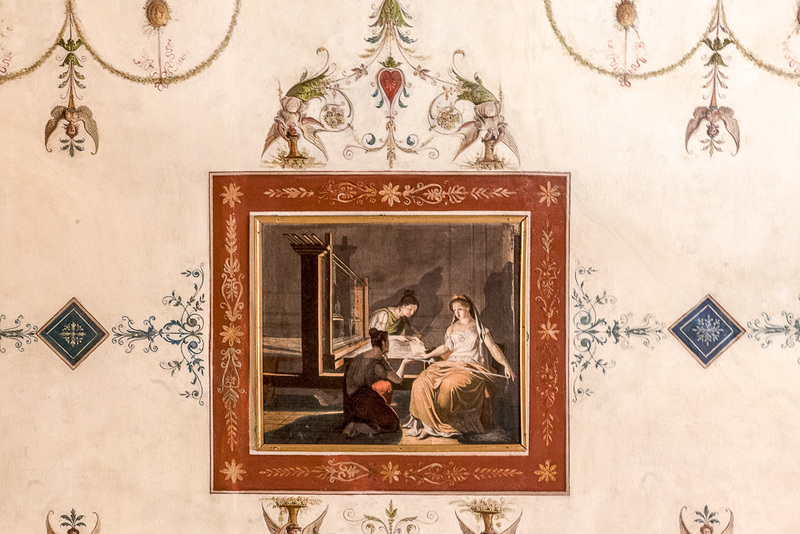 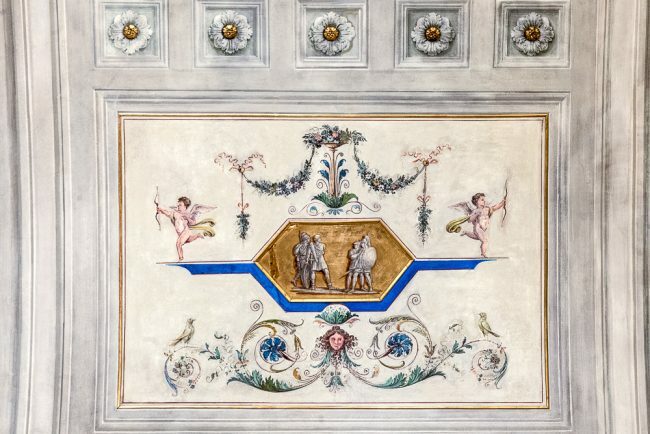 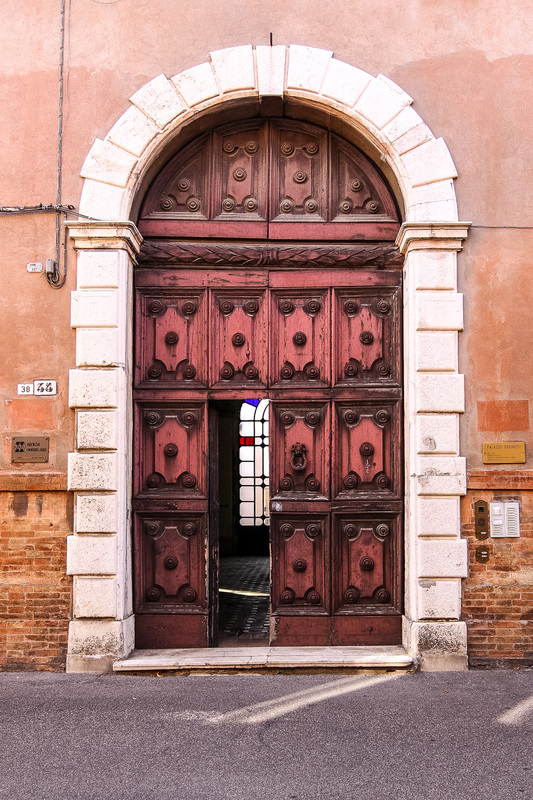 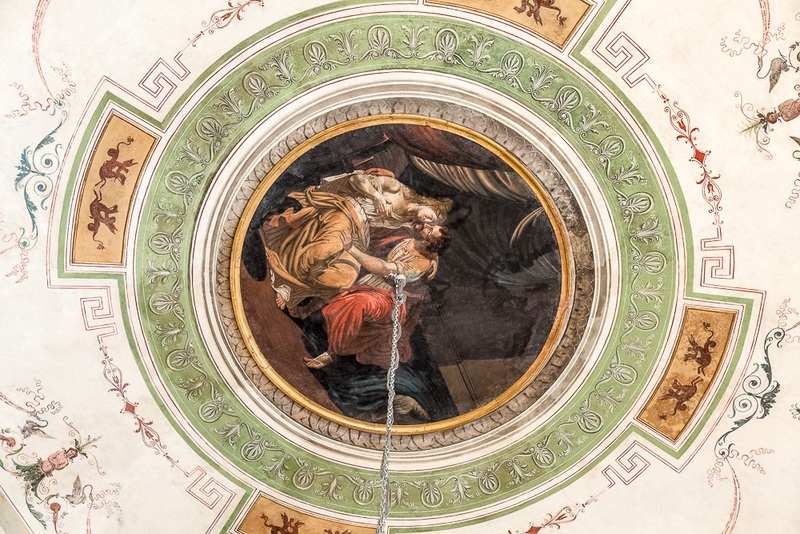 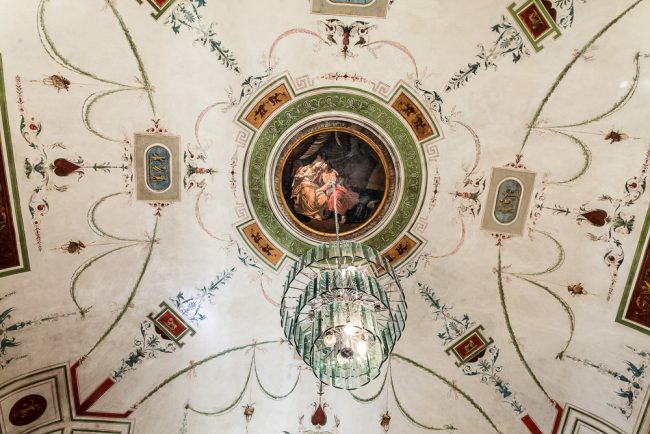 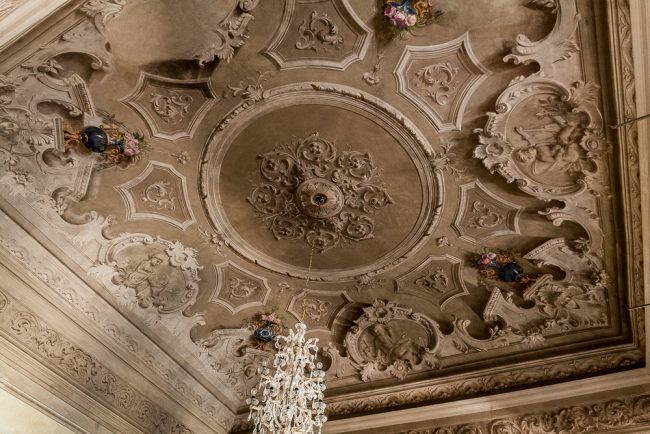 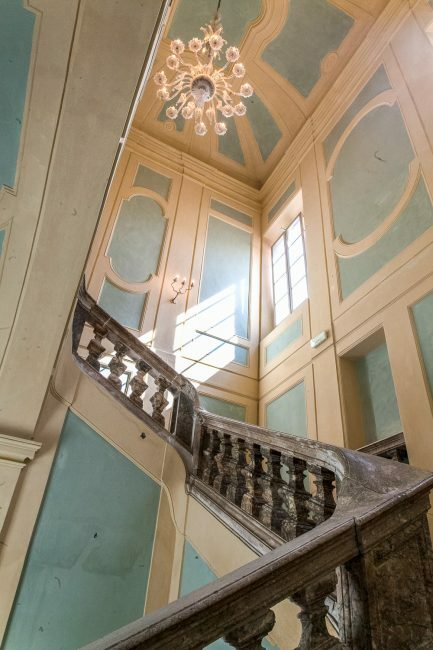 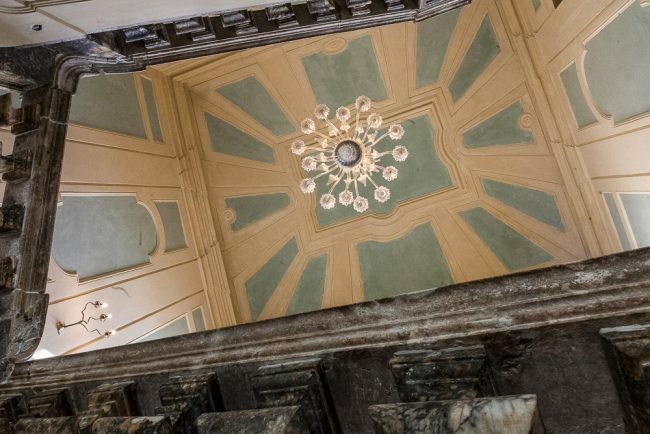 The building was restored in the 18th century for the Bacinetti family on the project of the Camaldolesi monk Giuseppe Antonio Soratini (1682-1762), to whom we owe also the monumental four flight stairway with marble banisters. The two-story building is characterized by a big stone portal. 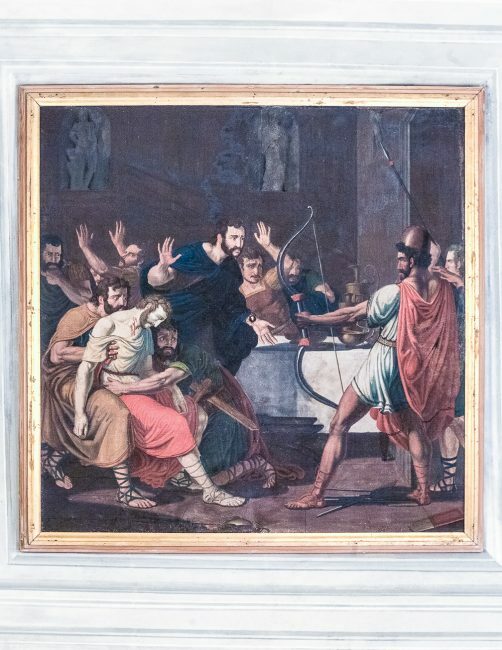 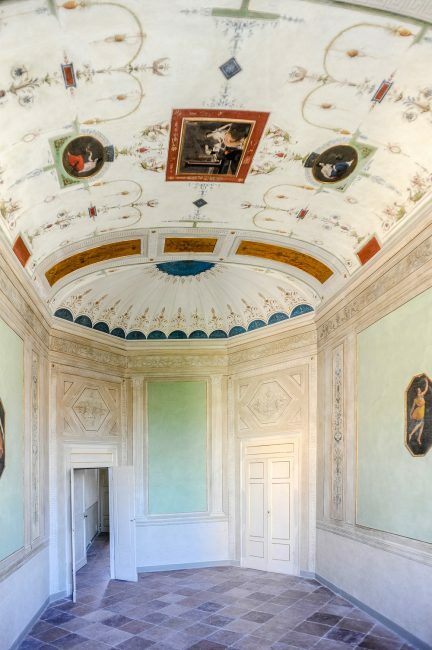 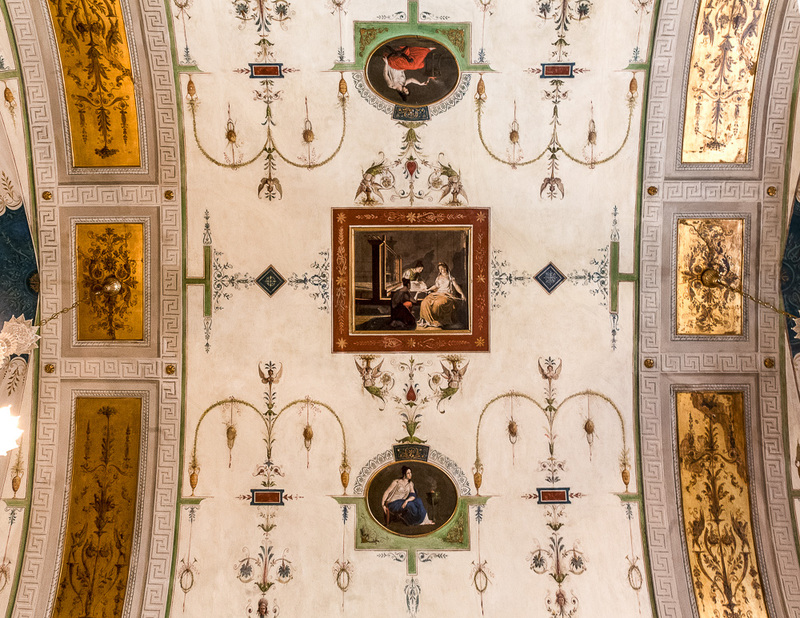 Inside we can find big vaulted rooms embellished by paintings, some of which by Felice Giani from Faenza (1758-1823) or by his scholars. The humanitarian Marianna Bacinetti (1802-1870), is linked to this building. 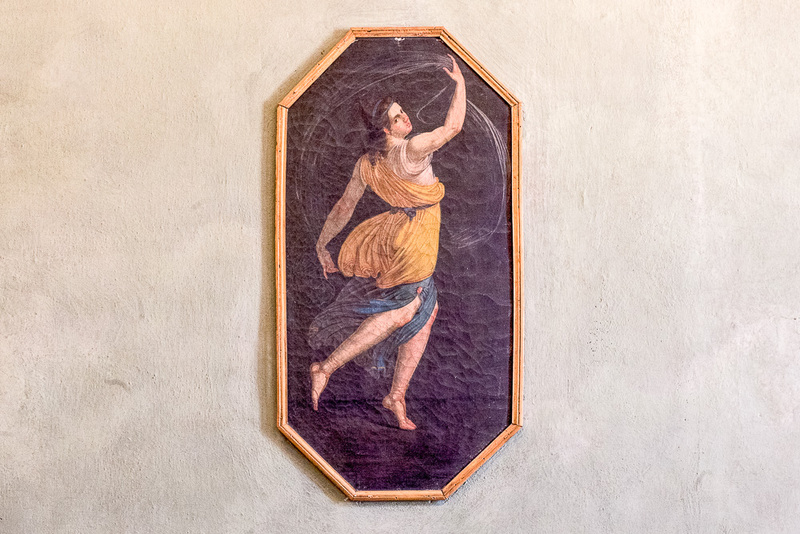 Sitting room or boudoir – Dancing female figure, in a wall of the room – © Giampiero Corelli Fotoreporter.